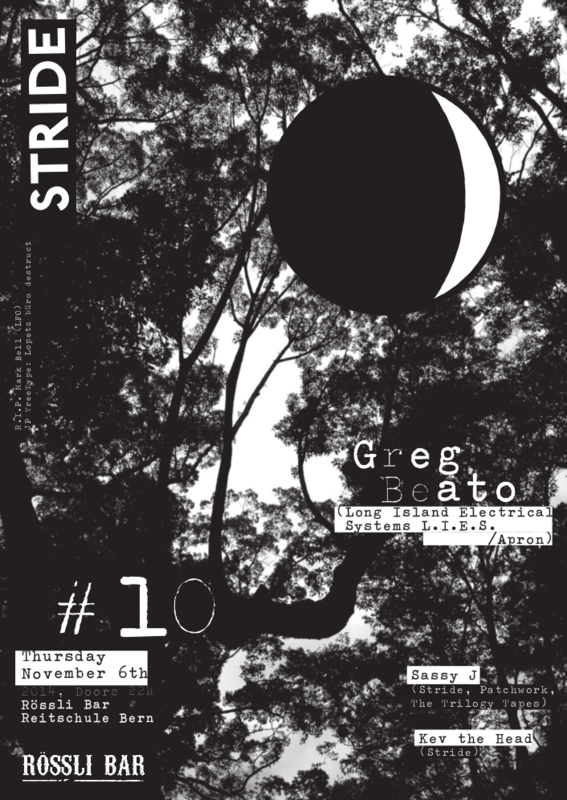 We’re e xcited to welcome Greg Beato (Apron, L.I.E.S.) for a DJ set at our upcoming Stride Night at Rössli Bar Bern, Thursday November 6th. Support by DJ Sassy J (Patchwork, Stride, The Trilogy Tapes) and DJ Kev the Head (Stride).